A competition has been launched to find new ideas for footbridges across the UK rail network. Network Rail is seeking input to help inform both the design and installation of fully accessible pedestrian bridges. The competition is open internationally to practising architects, structural engineers, civil engineers or teams thereof, together with students of these design disciplines. The selection process is seeking ideas to contribute towards and influence new standard designs rather than a solution that will necessarily be implemented. The design ideas competition, which is being administered by RIBA Competitions, will be held over a single stage, with a design fund of £20,000 (US$26,500) to be awarded to the submission judged to be the best response to the challenge. The aspiration is to generate a catalogue of appropriate footbridge designs affording greater flexibility in addressing sites across the country. The intention of the competition is to progress the winning entry through detailed design development following Network Rail's funding settlement for the operating period 2019-2024. Network Rail owns about 2,400 footbridges providing access across the railway for both passengers at stations and people using rights of way. Most of these footbridges are single-span structures, with the majority having a main span of 16m or less. 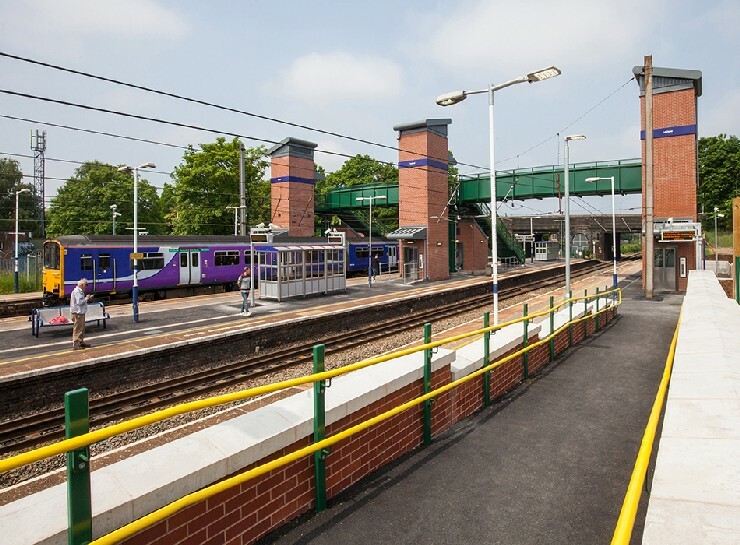 As part of the Department for Transport's 'Access for All' programme, Network Rail has installed 200 footbridges since 2006.